The association between bone mineral density (BMD) and outdoor air pollution has not previously been explored. In this study including 590 elderly men, total body BMD was inversely associated with indicators of air pollution. Further studies to address any relation between air pollution and BMD and bone fracture are warranted. The relation between air pollution and bone mineral density (BMD) is unknown. Based on higher fracture rates and more osteoporosis in urban compared to rural populations, this exploratory study aimed at investigating the association between indicators of air pollution and BMD. 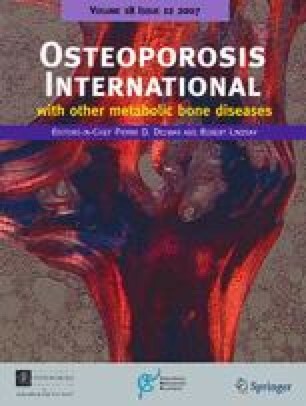 In an osteoporosis sub-study of the population-based Oslo Health Study (2000–2001) BMD of total body and total hip (mg/cm2) was measured by DXA in 590 men 75–76 years old. Exposure to air pollution (particulate matter (PM10 and PM2.5) and nitrogen dioxide (NO2)) at each participant’s home address was estimated from 1992 to 2001. Air pollution was inversely associated with total body BMD, whereas no significant association was found for total hip BMD. The adjusted odds ratio (OR) [95% confidence interval] for low total body BMD (Z-score ≤−1) was per standard deviation increase 1.33 [1.05–1.70] for PM2.5, 1.28 [1.00–1.63] for PM10, and 1.24 [0.97–1.59] for NO2. Stratified by smoking status the adjusted OR for PM2.5 was 1.73 [1.02–2.95] in current smokers, 1.40 [1.03–1.90] in former smokers and 0.83 [0.43–1.58] in non-smokers. There was a weak but statistically significant inverse association between indicators of air pollution and total body BMD. Further investigations are warranted. The data collection was conducted as part of the Oslo Health Study 2000–2001 in collaboration with the National Health Screening Service of Norway (now the Norwegian Institute of Public Health). 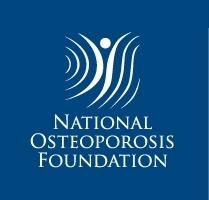 The Osteoporosis sub-study was funded by the Norwegian Research Council. The Norwegian Osteoporosis Foundation funded the writing of this manuscript.